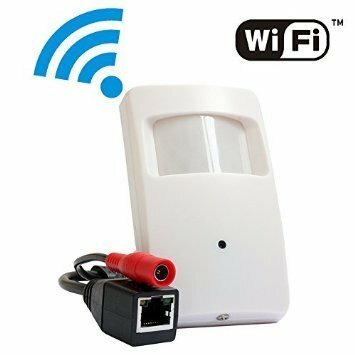 ELP Mini Hd Wireless Ip Cameras 1.0megapixel PIR Style Pinhole Lens Mini Hidden Network Camera with Wifi Support Smart Phone View. ELP mini hidden 2megapixel mini IP cameras ELP-IP1882 is real time HD 1080P network IP camera Beside this mini dome IP cameras, ELP also have several other style dome IP cameras for your optional which you can visit our store for view. And all this dome mini network cameras can make into PoE by connecting PoE adaptor additionally. ELP brand are professional surveillance products manufacuturer, who also face to personal purchasing person, with factory professional service team. 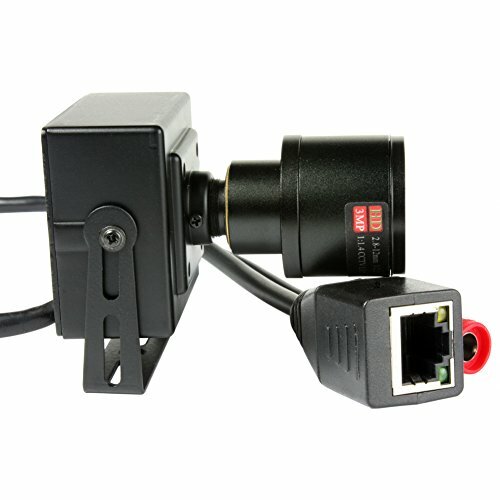 Key feature: Model: ELP-IP1882 Imager sensor: HI3518+OV9712 lens: HD professional 3.6mm lens optional Video compression: H.264 Highprofile,JPEG capture Bite rate: 32Kbps~8Mbps Image resolution:1920X1080(2.0Megapixel) Low illumination Frame rate : 50Hz:25fps 60Hz: 30fps Image setting:"Saturation,brightness and constrast are adjustable through IE or client" Storage: Network storage Intelligent alarm : Motion detection, video loss,cable break Net interface: 1*RJ45 10M/100M TCP/IP HTTP RTSP/FTP/PPPOE/DHCP/DDNS/NTP/UPnP Working condition: minus 50~60 degree, humidity lenss than 90% Power: DC 12V Convenient Access, Anywhere, Anytime ELP all IP cameras come with professional CMS software for play and record. ELP network IP cameras come with remote surveillance function, which means you can visit the cameras any time, anywhere through CMS or IE. 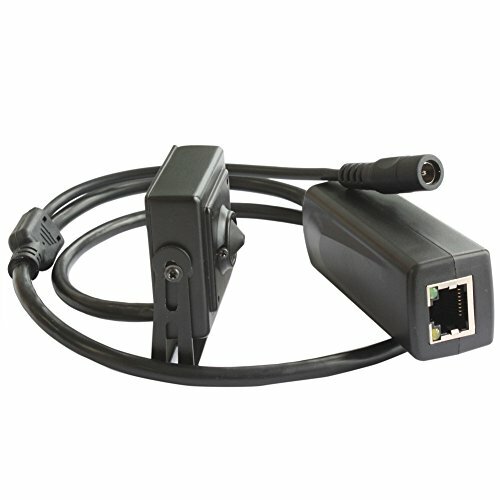 ELP HD resolutiom megapixel network cameras inserted P2P play and plug function, easy to use and setting. ELP IP surveillance cameras also support intelligent mobile phone view too. 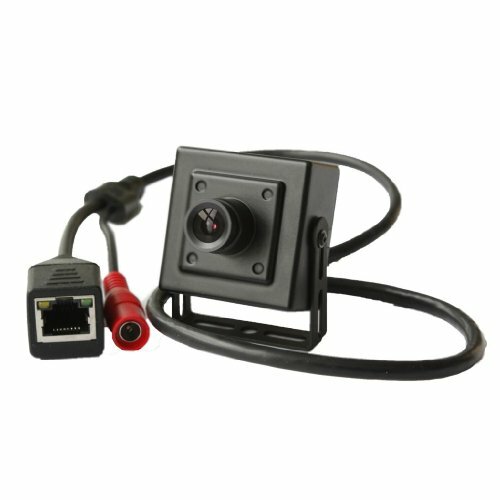 ELP mini hidden 2 megapixel industrial network Ip cameras ELP-IP1892 equiped with pinhole hidden lens up to HD 1920x1090P resolution Why we choose ELP-IP1892 pinhole ip camera? 1) low difficulty to construction and maintenance, low cost, without laying a lot of video cable or power cord, simple construction, low cost of transmission equipment (switches or fiber optic transceivers) required, and is conductive to routine maintenance. 2) system scalability, and can be integrated with a variety of equipment realize real 1920x1080P HD resolution, and improve the equipment working effect. 4) Mini and hidden, can install at home or office elegently. ONVIF international standard protocol. Key feature: Imager sensor: HI3518C+IM122 lens: HD professional 3.7mm lpinhole lens Video compression: H.264 Highprofile, JPEG capture Bite rate: 32Kbps~8Mbps Image resolution:1920X1080 low illumination Frame rate: 50Hz:25fps 60Hz: 30fps Image setting:"Saturation,brightness and constrast are adjustable through IE or client" Storage: Network storage Intelligent alarm : Motion detection, video loss,cable break Net interface: 1*RJ45 10M/100M TCP/IP HTTP RTSP/FTP/PPPOE/DHCP/DDNS/NTP/UPnP Working condition: minus 50~60 degree, humidity lenss than 90% Power: DC 12V Convenient Access, Anywhere, Anytime ELP network IP cameras come with remote surveillance function, which means you can visit the cameras any time, anywhere through CMS or IE. 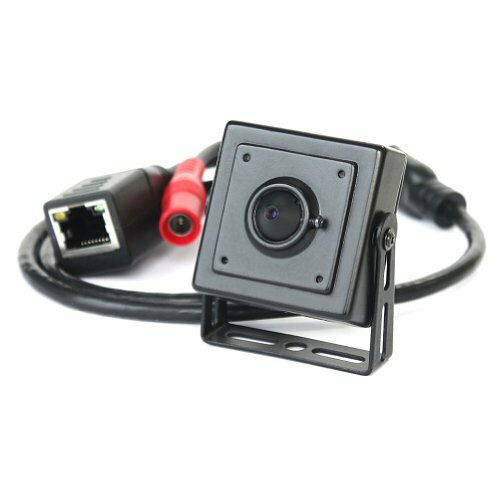 ELP HD resolutiom megapixel network cameras inserted P2P play and plug function, easy to use and setting. ELP IP surveillance cameras also support intelligent mobile phone view too. 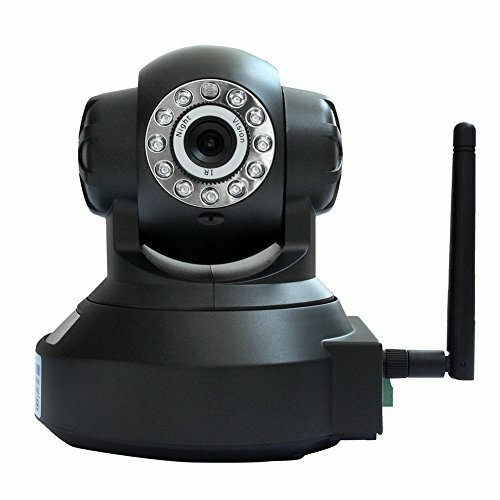 New 720p HD Mini IP Camera Megapixel 1280x720 H.264 ONVIF Mini network camera Network Surveillance Camera Features: 1. High resolution 1.0 Megapixel 1/4'' CMOS Sensor. 2. 1280x720 resolution 25fps real time. 3. Standard ONVIF . 4. Support IE, support iphone, Android smart phone. 5. With motion detection function. 6. H.264 compression. 7. Lens 3.7mm pinhole lens Parameters: Image Sensor: 1.0Megapixel 1/4 "CMOS Sensor Effective Pixels: 1280 (H) x720 (V) Scanning System: Progressive Min Illumination: Color: 0. 1Lux / F1.2, B / W: 0.01Lux/F1.2 Lens: 3.7mm pinhole lens IR light: No IR LED Video Resolution: 720P (1280 × 720) Main Stream: 720P (25fps) Sub Stream: D1 / CIF (25fps) S / N Ratio:> 39dB Compression: H.264 Network Ethernet: RJ-45 connector (10Base-T / 100Base-TX) ONVIF: Standard ONVIF Smart Phone: iPhone, Android General Power Supply: PoE(if do not want to use PoE, can also connect DC12V / 2A power) Working Environment: -20 ° C ~ + 60 ° C, 10% ~ 90% Material: Metallic Weight: 0.15kg Package Includes: Mini IP Camera x1 (PoE) Software CD x1 (Include Software and User Manual) Packing box x1 All products will be tested before shipping and packaged in good condition. This IP camera work with NAS,Synology (Model:Generic_ONVIF;Port:8899)and Blue Iris(model:Empire ESC-IPC1;Port:34567) ELP brand are professional surveillance products manufacuturer, who also face to personal purchasing person, with factory professional service team. Key feature: Imager sensor: HI3518+OV9712 lens: HD professional 3.6mm lens optional Video compression: H.264 Highprofile,JPEG capture Bite rate: 32Kbps~8Mbps Image resolution:1080X720(1.0Megapixel) Frame rate: 50Hz:25fps 60Hz: 30fps Image setting:"Saturation,brightness and constrast are adjustable through IE or client" Storage: Network storage Intelligent alarm : Motion detection, video loss,cable break Net interface: 1*RJ45 10M/100M TCP/IP HTTP RTSP/FTP/PPPOE/DHCP/DDNS/NTP/UPnP Working condition: minus 50~60 degree, humidity lenss than 90% Note: 1)This IP camera default IP address: 192.168.1.10 user name: admin password: empty(no password) 2)RTSP address: rtsp:// 10.6.3 .57:554/user=admin&password=&channel=1&stream=0.sdp? 10.6.3.57 is device IP :554 is the RTSP port number user=admin (this is device login user name) password= (password is empty) channel=1 (first channel) stream=0.sdp？(main stream) For example: rtsp://admin:eagle3y3@132.206.149.75:554/user=admin&password=eagle3y3&channel=1&stream=0.sdp? but some programs like the one I am using (iSpy) prefers the format rtsp://admin:eagle3y3@132.206.149.75:554/user=admin&password=eagle3y3&channel=1&stream=0.sdp? ELP mini hidden 1megapixel IP cameras ELP-IP3110HR equiped with pinhole lens, just need a tiny hole, then the lens can capture the image. ELP brand produce 1 megapixel IP cameras, but also produce all kinds of 2magepixel ip cameras for indoor and outdoor use, and come with mini size, hidden style, dome style and bullet style. 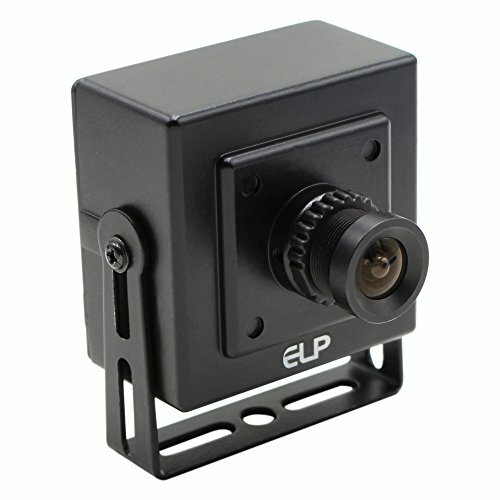 ELP brand are professional surveillance products manufacuturer Key feature: Model: ELP-IP3110HR Imager sensor: HI3518+OV9712 lens: HD professional 3.7mm pinhole lens Video compression: H.264 Highprofile,JPEG capture Bite rate: 32Kbps~8Mbps Image resolution:1080X720(2.0Megapixel) Frame rate : 50Hz:25fps 60Hz: 30fps Image setting:"Saturation,brightness and constrast are adjustable through IE or client" Storage: Network storage Intelligent alarm : Motion detection, video loss,cable break Net interface: 1*RJ45 10M/100M TCP/IP HTTP RTSP/FTP/PPPOE/DHCP/DDNS/NTP/UPnP Working condition: minus 50~60 degree, humidity lenss than 90%,Power: DC 12V Note: 1)This IP camera default IP address: 192.168.1.10 user name: admin password: empty(no password) 2)RTSP address: rtsp:// 10.6.3 .57:554/user=admin&password=&channel=1&stream=0.sdp? 10.6.3.57 is device IP :554 is the RTSP port number user=admin (this is device login user name) password= (password is empty) channel=1 (first channel) stream=0.sdp？(main stream) For example: rtsp://admin:eagle3y3@132.206.149.75:554/user=admin&password=eagle3y3&channel=1&stream=0.sdp? but some programs like the one I am using (iSpy) prefers the format rtsp://admin:eagle3y3@132.206.149.75:554/user=admin&password=eagle3y3&channel=1&stream=0.sdp? 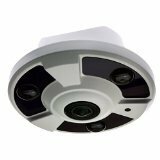 ELP mini hidden 1megapixel dome IP cameras ELP-IP1891 is mini network Ip cameras with hidden pinhole lens. Why we choose ELP-IP1891? 1) low difficulty to construction and maintenance, low cost, without laying a lot of video cable or power cord, simple construction, low cost of transmission equipment (switches or fiber optic transceivers) required, and is conductive to routine maintenance. 2) system scalability, and can be integrated with a variety of machine or equipment, such as ATM machine. 3)HD 720P stream, clear but economical 4) system standardization: has formed a number of standardized monitoring network protocols, such as ONVIF international standard protocol. 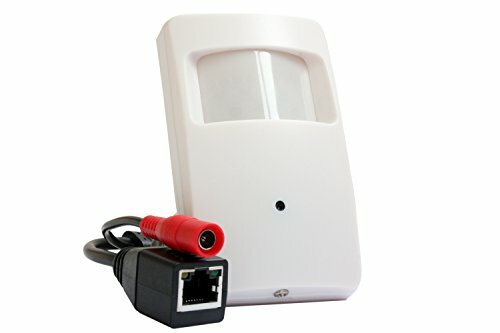 ELP brand are professional surveillance products manufacuturer, who also face to personal purchasing person, with factory professional service team. Key feature: Model: ELP-IP1891 Imager sensor: HI3518+OV9712 lens: HD professional 3.6mm lens optional Video compression: H.264 Highprofile,JPEG capture Bite rate: 32Kbps~8Mbps Image resolution:1080X720(1.0Megapixel) Frame rate : 50Hz:25fps 60Hz: 30fps Image setting:"Saturation,brightness and constrast are adjustable through IE or client" Storage: Network storage Intelligent alarm : Motion detection, video loss,cable break Net interface: 1*RJ45 10M/100M TCP/IP HTTP RTSP/FTP/PPPOE/DHCP/DDNS/NTP/UPnP Working condition: minus 50~60 degree, humidity lenss than 90% Power: DC 12V Convenient Access, Anywhere, Anytime ELP all IP cameras come with professional CMS software for play and record. ELP network IP cameras come with remote surveillance function, which means you can visit the cameras any time, anywhere through CMS or IE. ELP HD resolutiom megapixel network cameras inserted P2P play and plug function, easy to use and setting. ELP IP surveillance cameras also support intelligent mobile phone view too.